Tshepo Mosese (known in music circles as Howza) is a South African actor, rapper and songwriter best known to television audiences for his role as Chase Motaung on the e.tv soapie Backstage. Born in Diepkloof, Mosese trained at the Actors Centre based at Johannesburg's Civic Theatre, completed a TV presenter's course and guest appeared on the shows Jam Alley, 7de Laan, Selimathunzi and YOTV. He is also a photographic model and recording artist. Mosese was part of the band Gunpowder from 2002-2003. He was featured on Selwyn and Amu’s albums from 2002-2003 and on the Bouga Luv album in 2004; and performed alongside the likes of Will Smith and Queen at the 46664 concert in 2005, in George. He has been part of the well known kwaito outfit Blackjack since 2005 and released a solo album titled Cut to the Chase in 2007. 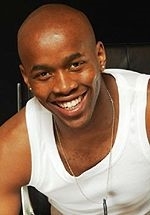 He also featured on Mandla "Spikiri" Mofokeng's album in 2007. On 10 February 2008, Mosese began hosting the Christian lifestyle magazine show Big Up, on SABC1. In 2012 he replaced Sisanda Henna as host of the fifth season of the SABC1 reality show All You Need is Love, after five episodes had aired. In 2013 he replaced Ursula Chikane as the host of the reality competition series Bar One Manhunt, when the show moved from SABC3 to SABC1. He joined e.tv soapie Scandal! in November of the same year, in the role of policeman/bodyguard Lerumo Chabedi. Mosese is multilingual, speaking English, Zulu, SeTswana, Southern Sotho, and reading Afrikaans. His hobbies are writing, watching movies, gym and singing.